Death Re-Ripped Backpack With Laptop Pocket - 3D Latex And Oxford Cloth Construction, Padded Shoulder Straps And Handle | BUDK.com - Knives & Swords At The Lowest Prices! A satanic skeleton looks like it is tearing out of your back to escape from the fires of hell deep within your body. 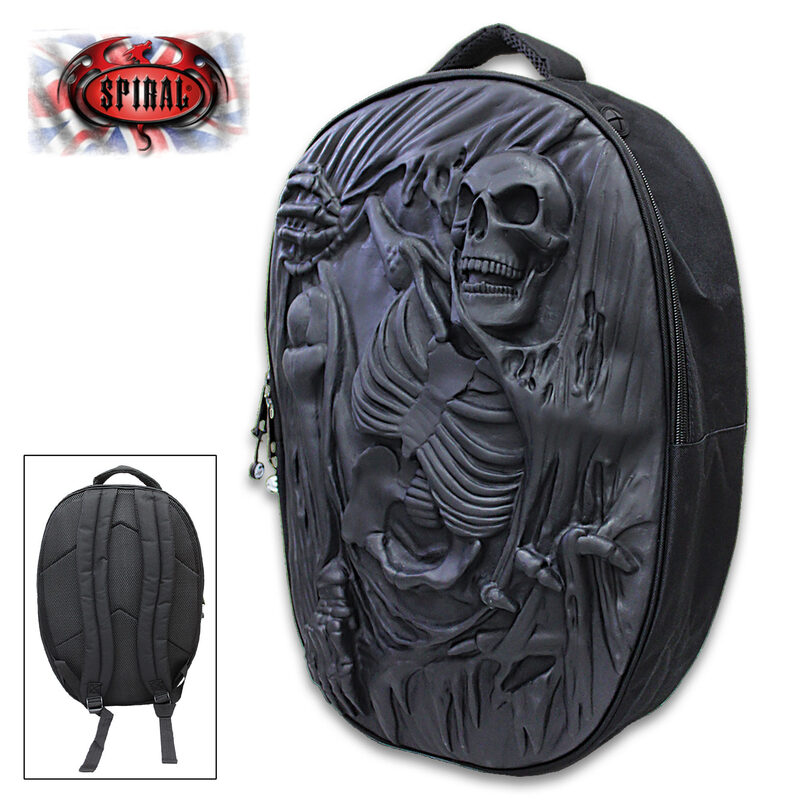 Let out your demons within with our Death Re-Ripped Backpack! 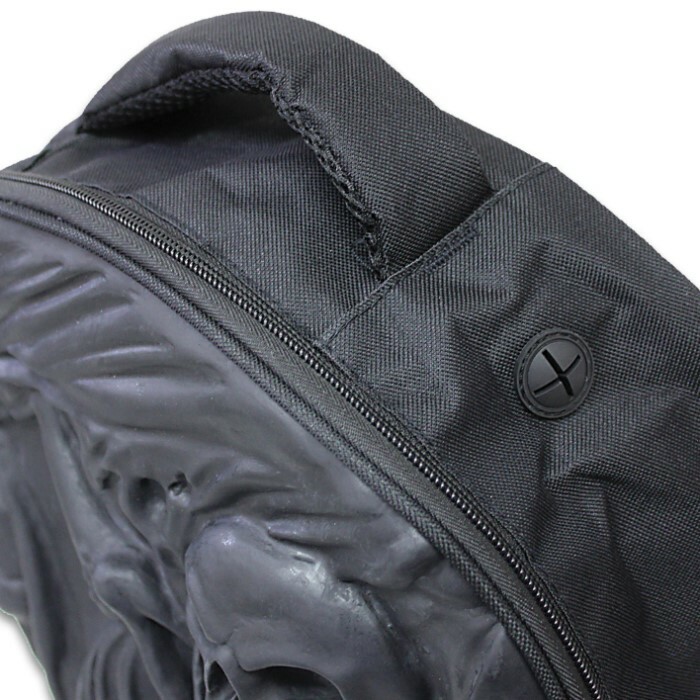 The pack is made of tough 600D Oxford cloth and sculpted latex which gives life to the 3D skeleton artwork that makes up the entire front panel of the bag. 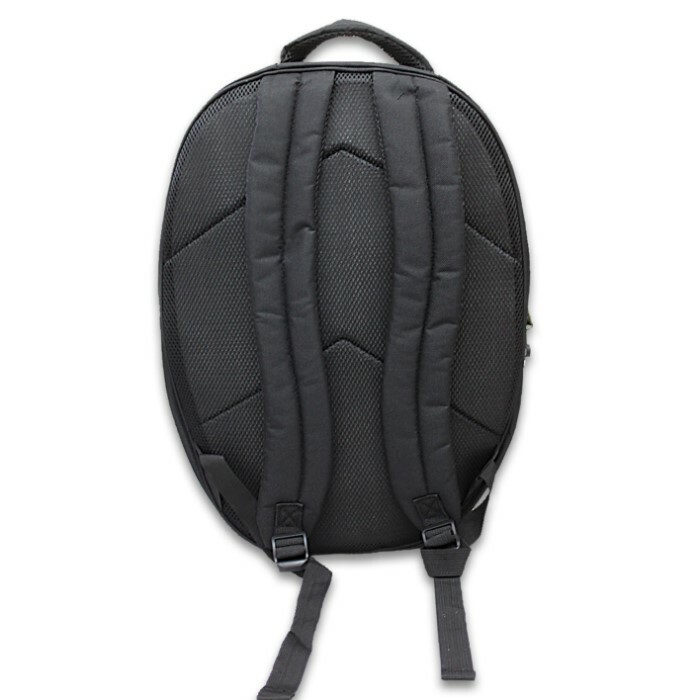 Breathable padding and adjustable padded shoulder straps make the backpack comfortable to carry. It features a keyholder, communication port and a mobile pocket, as well, as a top carrying handle. This is definitely a must-have for any respectable Goth!